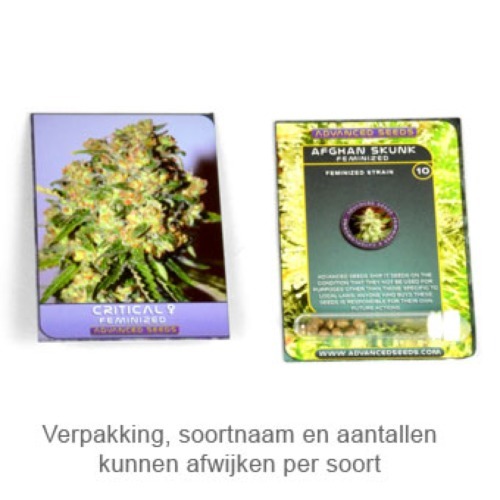 Auto Jack Herer seeds from Advanced Seeds are feminised. This strain is very famous and popular. You can find her in many coffeeshops, now their also exists a feminised autoflowering version of it. Advanced Seeds Auto Jack Herer is a weed plant that is full of white THC crystals from the beginning of flowering. These cannabis seeds develop themselves into a plant with compact and long smelling tops. She is appropriate for an indoor grow and outdoor grow. This strain is very powerful and popular by a lot of growers. This weed tastes spicy with a light wood flavor and is very difficult to grow. Tell us and our customers what you think of the Auto Jack Herer from Advanced Seeds.